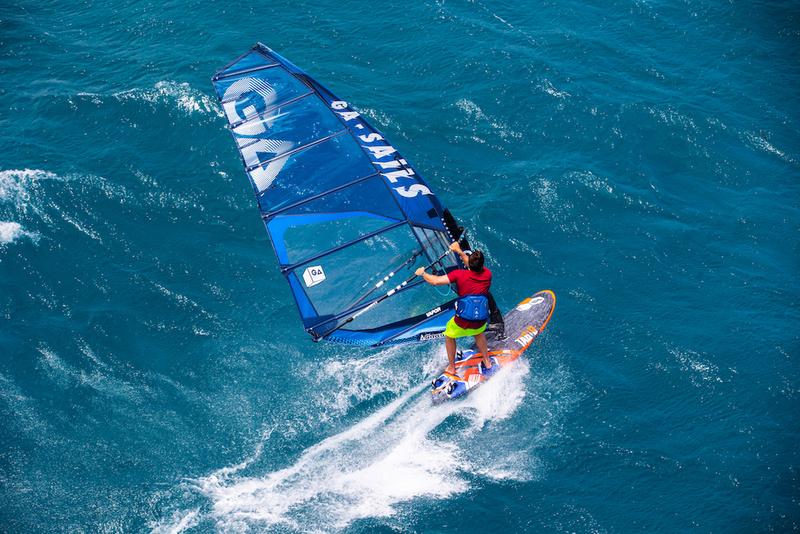 ───GA Sails have just launched the 2019 freerace and race sails to the market. Tell us a little of what has gone into the new designs? PM　For 2019 we redesigned the batten distribution in all the sails placing the main center battens parallel to each other and at a regular distance. We introduce the new clew configuration NCB New Cross Batten which we could describe as a powerful Cross Batten concept. The parallel battens have been tilted up and the Posi Leech has been reduced a bit resulting in a more vertically elongated outline（with similar luff lenght）with a better aerodynamic, smoother twist pattern and efficiency making the sails lighter in the hand. The new Phantom has also been updated with a new wider mastsleeve and a concept much closer to a Vapor for an even higher performance potential still in an easier to handle package. 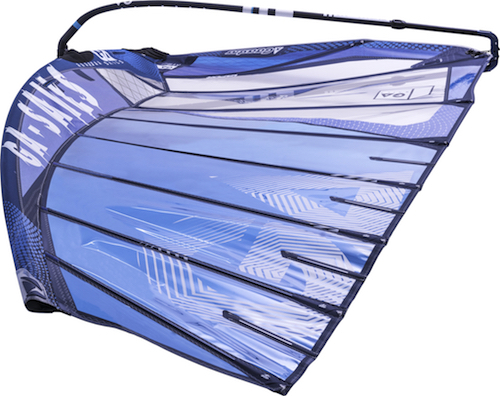 ───The Vapor is our dedicated high performance race sail that is used by our athletes on the PWA World tour. What can we expect for 2019 from the new Vapor? PM　We worked a lot on the power, acceleration and pointing ability. The sail reacts much better to every small gust and has a super acceleration which transmits in extra speed. In the on/off wind the sail stays stable and does not loose speed. It remains also very light in the hands. ───If you are a new customer, how would they decide between the Phantom and the Vapor? PM　If you are into serious racing I would decide for the Vapor, but if you are looking for performance without the added complication of a full race sail, and even do some lower level races I would go for the Phantom. The Phantom has only 3 cambers, is lighter and easier to jibe and trim and the performance loss vs a Vapor is not much, especially in the lower range of wind. If you are not a 100% racer, you will never go so overpowered and there you don’t feel so much the difference. ───How much testing and development goes into the racing designs? PM　The racing gear is tested during the whole year. As soon as the sail go into production, we start making and testing new protos, being it new concepts or a further development of the existing design. Basically the development stops when the sail has to be put into production. ───What are the best recommended masts for the Vapor and what do our masts provide in terms of performance for the sail? PM　The Vapors are developend and best recommended with our SDM 100% carbon masts. The mast is the backbone of the sail and provides the static characteristics of the sail, like the profile and the tension of the rig, but also the dynamic feedback while sailing, how the sail reacts to the gusts, the stability, the absolution of the impacts with the chop. ───What has the feedback been like from the team who have been using the new models on the the tour? PM　The new models have only be tested. It is not allowed to use 2019 gear on the 2018 tour. The sails have to be registered by the 31 october of the year and can be used the year after. So the feedback comes from the testing and it is very positive with improvements in all aspects of sailing, power acceleration, pointing and stability as I have described in an earlier question. 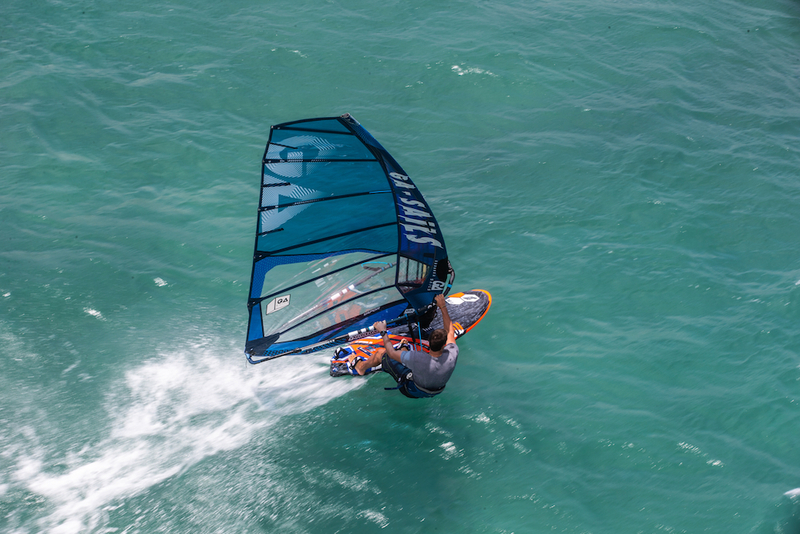 ───Our team riders have been killing it on the foil race course with the Vapor and have been testing some prototype foil dedicated sails. Might we be seeing a foil specific race sail in the future? PM　Yes, we are working hard on a dedicated foil sail. 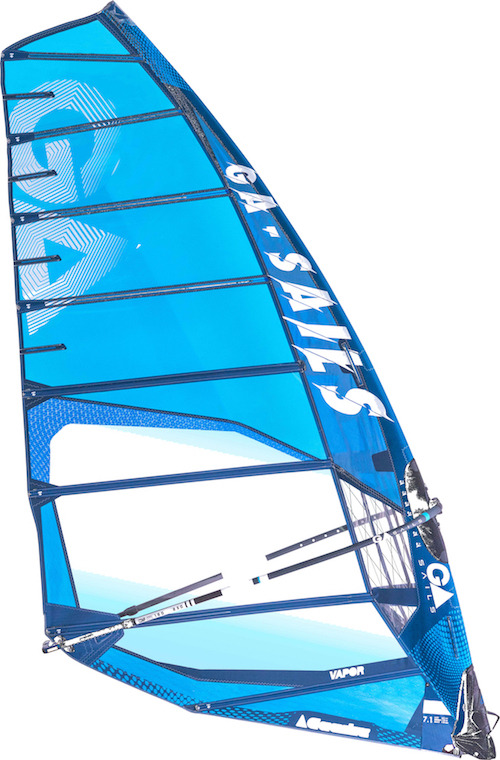 The requirements of a Foil sail are very different from those of a normal race sail. Basically at a high level you are not competitive anymore without a specific foil sail. 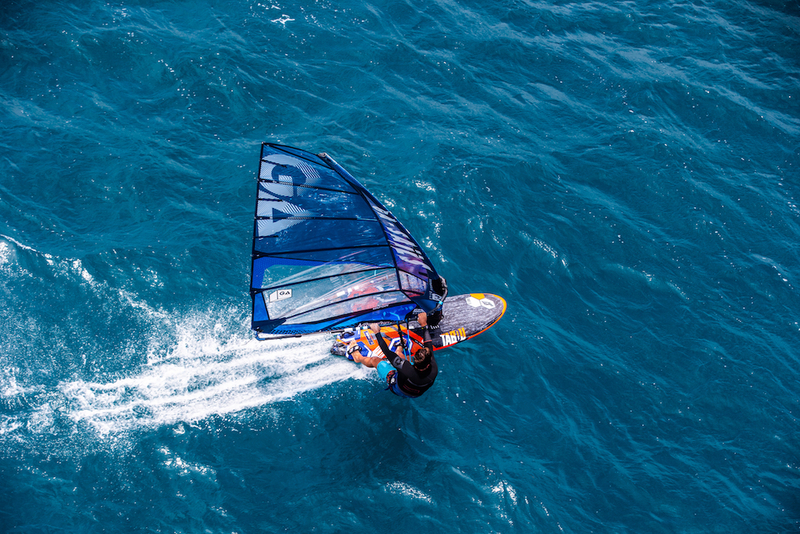 In general the foil sails are more high aspect, more closed in the leech as the sailing on a foil is very different than on a slalom board, just think of the missing hitting of the chop, it is much smoother. And the courses are very different, here we are talking about upwind races.